With his novel City of Fire, Robert Ellis debuted a dynamic new character in Los Angeles detective Lena Gamble, but also captured a vivid picture of the city of Los Angeles. Readers and critics made City of Fire an instant phenomenon, as the book became a Los Angeles Times bestseller and was named a top summer read by People magazine, USA Today, and The New York Times.Now Lena Gamble is a cop held in disgrace by department higher-ups for the explosive way the Romeo case played out, though sheÃ¢â‚¬â„¢s still hailed as a hero by her colleagues for catching the killer. For her punishment, she hasnÃ¢â‚¬â„¢t handled a real murder investigation in eight months. When the chief finally tosses her a case, sheÃ¢â‚¬â„¢s thrilled until she gets a look at the scene and realizes heÃ¢â‚¬â„¢s probably setting her up to be exiled once and for all: The victim is unidentified, and there are no witnesses, and no leads. 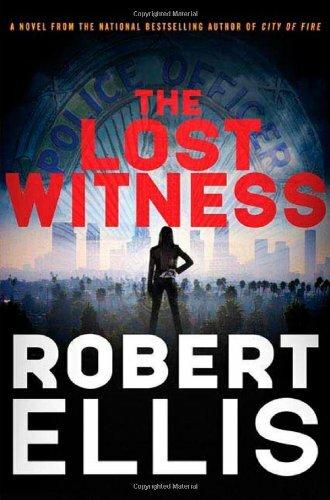 Just the body, chopped into pieces and dropped in a DumpsterÃ¢â‚¬â€gruesome enough to ensure that once again the media will be following LenaÃ¢â‚¬â„¢s every move.Robert Ellis delivers another high-speed, commercial, powerful read, featuring one of the most engaging and vibrant police characters on the shelf today. See Naples and dieby Ellis, Robert Y. City of fireby Ellis, Robert Y.